Home Diet Do Polar Bears Eat Penguins? 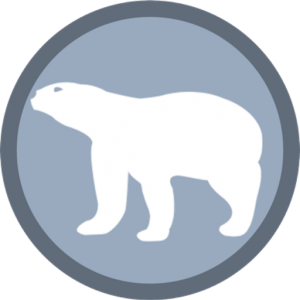 – Why Don’t Polar Bears Eat Penguins? Do Polar Bears Eat Penguins? 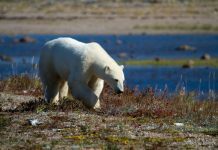 – Why Don’t Polar Bears Eat Penguins? Polar bears (Ursus maritimus) are highly opportunistic feeders in that they will consume just about anything in the Arctic. That’s right! Nearly all living organisms in the arctic are likely to fall prey to polar bears. But penguins don’t live in the arctic do they? They occur in the Antarctic which lies at the South Pole whereas polar bears live in the North Pole. Arctic is located exactly opposite to the Antarctic. Perhaps it’s time to see why don’t polar bears eat penguins. Do Polar Bears Eat Penguins? There is virtually no comparison between the two species living far off from each other. The freezing weather of the arctic and Antarctica is what makes people confuse regarding the dietary behavior of animals. It’s a myth that polar bears eat penguins but they would if they had lived in the same habitat. No penguin lives in the arctic and the odds are that polar bears probably never saw one in their life. However if penguins had occurred in the North Pole than they would certainly become (though not essential) part of the polar bear’s diet. Since white bears fancy eating seals because of the seal’s fatty components which they need during winter penguins don’t seem to offer any such fatty component. 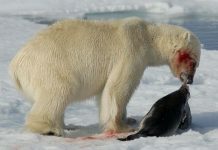 Thus even if bears prey on penguins this can never replace their essential prey (seal). But polar bears could supplement their diet with some penguins. Nonetheless it doesn’t stand to any logic for polar bears and penguins might never see each other. Having said that, scientists do believe and few of them witnessed it that an isolated population of a penguin has begun to live in the north of the equator. Still much to prove regarding the statement. Arctic waters do not appear to provide suitable habitat for penguins. Besides, unlike polar bears penguins might not be able to swim in warm waters. Adult bears are fond of eating only the blubber of ringed seal (leaving the meat for the young bears) because the blubber not only gives them thousands of calories but it also provides fats so that the bear may spend days in fasting. No such component occurs in penguins. They are simply birds. Polar bears (if at all) eat penguins only when the primary diet is scarce. But penguins do not make up the ecosystem of the arctic. Yet another reason as to why polar bears would not have preferred to prey on penguins is that birds such as this cannot provide sufficient protein for young bears to survive the frigid arctic weather. Do Polar Bears Eat Seals? 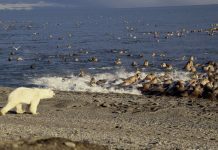 – Why Do Polar Bears Eat Seals? 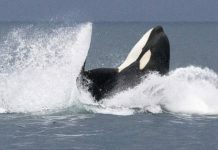 Do Polar Bears Eat Orcas?